Smart Water Shop & Aquascape Supplies: Pond Build Workshop! Last Thursday, Smart Water Shop joined forces with Aquascape Supplies and Waterscapes Australia to hold an exciting Pond Build Workshop for all trades, customers and staff looking to gain some additional experience, pick up tips & tricks, and assist in creating a thriving ecosystem complete with rocks, plants, and fish! These easily-installed landscape features are quickly becoming a favourite for backyard water displays, entertainment areas, and public spaces, especially as convenient DIY Pond & Waterfall Kits (such as those created by Aquascape) become readily available. This practical, hands-on training session covered all aspects of building a balanced pond - from placement of the pond to excavation of the area, selection and movement of rocks, sharing new techniques and equipment available, and generally providing tips & tricks of the trade to those looking to learn! The Aquascape approach to creating backyard ponds is quite different to other water gardens on the market. Aquascape’s goal is to create a complete low-maintenance system that works harmoniously with Mother Nature to provide shelter, food, and safety to the wildlife in and around it. All components within the Aquascape Pond Kits have been selected as they work well together, complement the addition of rocks and gravel, and are safe for use with local plants and fish. For the improvements made to Smart Water Shop’s external pond area, the Aquascape Small Pond Kit (2.4m x 3.4m) was utilised, resulting in a thriving ecosystem that will last for years. 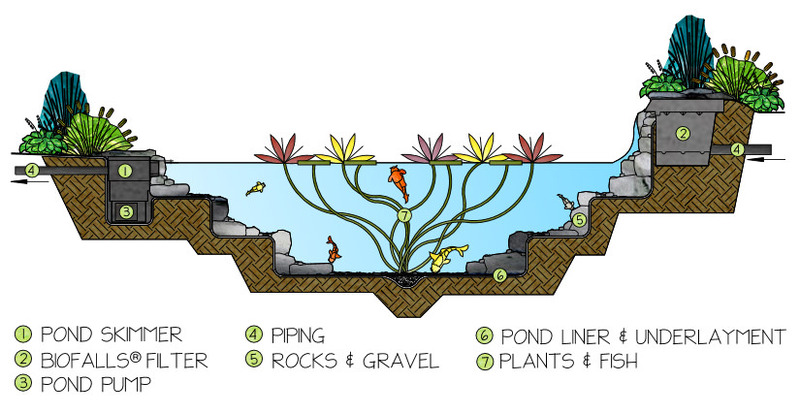 Shop the new DIY Backyard Pond Kits & Pondless Waterfall Kits online today!